There is no ‘dress code’ just dress smart and respectful. As the year is coming to an end, and we are entering the festive season, we have intertwined maths and Christmas to create a money maths unit. The students have been creating Christmas wish lists and keeping a running total. During our Reader’s Workshop sessions we have been revising all of our comprehension strategies. Each day we have studied a different strategy and applied this to our independent reading. We have been working on our picture storybooks in Writing. Keeping in the Christmas spirit, we are creating our books as a present for our buddies in prep. GENTLEMEN, START YOUR ENGINES!! Thank you to all of the classes, parents, families and teachers for supporting our students on their Billy Cart Derby Day. Also, thank you to Jason for helping in the building of our Billy Carts. Congratulations to The Jamaican Bob Sled Team: Will, Sam, Hunter P, Lincoln, Jack B and James. A big thank you to Mr Hanson for organising and setting up the Derby Day. Next week's assembly will be at 2.45pm as there are lots of awards to get through. Only 3 more weeks left of the 2016 school year! It’s not over yet though, we still have many fun and exciting things planned. Year 6 graduation, 2017 student leader applications and much, much more. Could you please make sure your child has brought in a picture of themselves as a baby and when they were in prep. We need these photos for the graduation presentation that is coming up really soon. In Numeracy we have been looking at factors and multiples. Firstly, we asked the students what they knew about factors, multiples, and composite and prime numbers. After discovering the students' prior knowledge we then had the students playing games using playing cards where they explored the differences between factors and multiples, and prime and composite numbers. During our Reader’s Workshop we have been looking at synthesising and organising our prior and new knowledge. The students have been identifying their prior knowledge on each state of Australia, then after reading facts and history on each state, they have been adding their new knowledge. We have had many incidental teaching moments where the students have explored their particular interests and misconceptions of states, capital cities and locations. The students have successfully finished publishing their information reports and have chosen excellent words to enhance their pieces, along with strong structure and organisation. We will begin our new unit of writing, immersing and identifying the ways authors use the traits in their writing. At the end of this writing unit the students will have published a picture storybook that they will share with their buddies in prep. The billy carts are complete! We have had a busy few weeks constructing and designing billy carts. We had a practise run this week, it looks as though it will be a tough competition on our Billy-cart Derby Day at C.S.P.S!! In weeks 4 and 5, the grade 5/6 students have begun their Billycart projects. So far it has been fantastic to see students working together in teams to complete a variety of tasks. Students have created in their booklets: team names, essential agreements and logos. They then acquired their timber and worked as a team to measure and cut it into the appropriate lengths. As teams they have then painted their timber and seats and will soon be drilling and constructing the final parts of their billycarts. This week we have begun our new unit of numeracy, and we our now deepening our knowledge of number and place value. In particular, we have been looking at factors, multiples, prime numbers and composite numbers. Last week we had the Victorian Maths Challenge. It was great to see parents there!! The students have done an incredible job of refining their skill of summarising. Students understand they need to identify the key points and key phrases, and then sequence their work chronologically. Our students have successfully chosen, drafted, revised and edited their Information Reports and are currently publishing. We are absolutely flabbergasted by the excellent word choice, sentence fluency and organisation. Well done years 5/6!! WOW! What a busy 2 weeks it has been, beginning our final term for 2016! Today the students showcased their learning in our Inquiry Exposition where we focused on the differing perspectives of immigration. A massive congratulations to all students who participated for yet another fantastic learning expo. Our next Inquiry topic will be extremely exciting and very different to a usual topic of Inquiry. Get ready and get set to find out Monday. Since the beginning of term 4 the students have been developing their knowledge of fractions. In particular we have been focusing on placing fractions on a number line, vocabulary, improper fractions and mixed number fractions. If you have the opportunity to help your child consolidate their learning, could you please work with them to continue expanding their understanding. This could be done when cooking or baking. The first two weeks back of term 4 have been action packed in our Reader's Workshop sessions. The students have been focussing on Inferring and all teachers have been blown away with their understanding of the concept. Students had to use the clues and evidence from a text to infer the hidden message. We looked at traditional texts, videos and songs in our mini lessons and throughout our must do tasks. The Inferring unit is now completed and next week we are moving on to Text Structures and Features. Students have also been completing their Fountas and Pinnell accuracy and comprehension tests this previous fortnight, and all classes have shown an impressive amount of progress. It has been full steam ahead with our immersion of Information Reports. We have been exploring an abundance of different topics, for example, animals, transport, countries, immigration, science, sport etc. The immersion stage of writing is extremely important, as this is a chance for students to really expand their own knowledge and discover how authors execute the traits of writing. 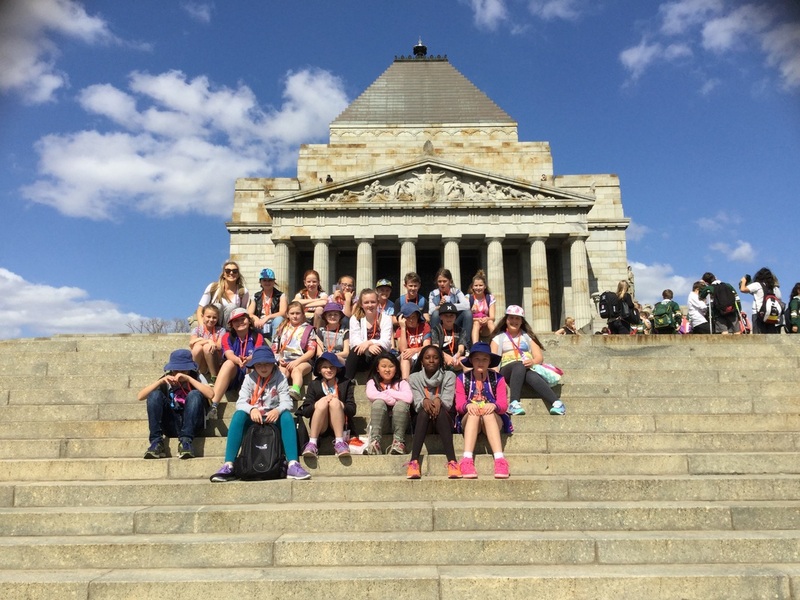 Hi and welcome to the 5/6 team blog for the last fortnight of Term 3! Where to begin…So many positive first time experiences were had by all, even the teachers! 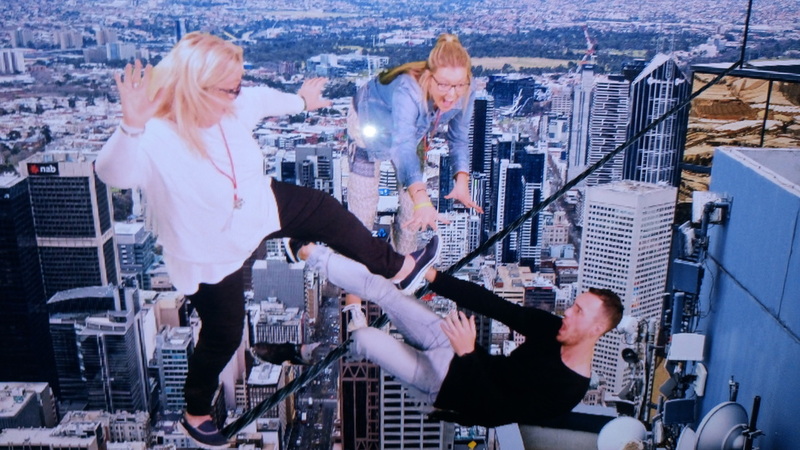 From experiencing Eureka Sky Deck (Edge) 88 stories high above the city skyline to riding on trams to the Melbourne Star and walking the interesting laneways of Melbourne. It was great to see the looks on our students faces when they conquered a fear, experienced something new or just had a go. The behaviour was super and our school values shone through. The staff on camp were impressed with the way our students represented CSPS in such a positive way. If we were to change anything, we would make it longer! Thank you to Mr Hanson for organising such an engaging and brilliant camp. Our students are feeling very inspired about their Immigration Inquiry topic since our visit to the Immigration Museum on camp. During the holidays we would like the students to begin creating their costumes and if they haven’t already, make a suitcase. The suitcase only needs to be the size of a shoebox, which the students have seen an example of. We will be showcasing our learning early term 4, date and time TBA. Please make sure you have returned your Compass notes to enable you to log on and reflect on your child’s understanding with the Learning Task that was completed as a pre-test on fractions. A post-test will be completed and you will be able to see your child’s growth. Once you have returned your note you will receive a log in and information booklet that will guide you to access your child’s Learning Task. As a follow up to our measurement unit we have just completed, we would love parents to use vocabulary such as attributes, length, width, height, millimetres, centimetres, metres, kilometres, hectares, area and perimeter whilst you are out and about on day trips. This will build confidence and knowledge, and embed the concepts deeper. Hats at recess and lunch are now compulsory. See you “On The Blog" next term! 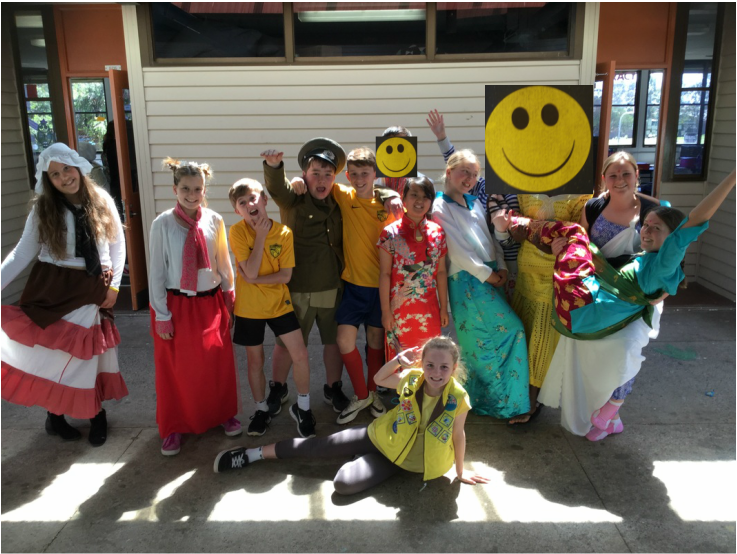 Hi and welcome to the 5/6 team blog for Week 6, Term 3! Firstly, we would like to say a massive thanks to all of our wonderful Educational Support Staff! Penny, Jason, Tammy, Leanne, Kerry, Anna, Tracey, Mandy, Kellie, Amanda, Denise, Michelle, Millie, Chris, Brendan and Paul, you are all greatly appreciated by the teachers at C.S.P.S and we are so grateful for your continuous help. A special shout out to Tammy, Kerry and Tracey who go above and beyond with their attention to detail, the guidance and the care they show towards all of the 5/6 students. 19 days until camp, please make sure you have handed all notes in as we will be finalising bookings, tickets etc on Monday 22/08/16. Measurement is on our minds! After looking at data from the 5/6 cohort we have identified an area for growth. This week we began studying measurement and this will continue for another 2 weeks. So far we have been focussing on the attributes of measurement (length, width, height etc) and how to identify them. We have also been focusing on perimeter and with the weather this week being beautiful and sunny we decided to take our classrooms outside. The students measured the perimeter of the features of our schoolyard, such as; the basketball court, gaga pit, 4 square courts, sand pits and so on. Our Reader's Workshop sessions have been focusing on summarising what the students have read. In particular the students have been identifying the key points and words to then develop their summaries. All students have been working extremely hard to achieve their reading goals. Please make sure your child is reading every night and logging it in their diaries. If the students read 40 nights this term there will be a movie and fun session on the last day of term. We have a visual in the classroom where students are tallying how many nights they have read. Our poetry unit was put on hold for 2 weeks as our heads were in the Olympic Games. We will return to our poetry unit at the start of next week. The writing focus has been to research and create an information report about a Summer Olympian of their choice. The students were given a rubric to follow and guide their investigation. Pack your bags, we are leaving Rio! We have completed our Inquiry topic on the Olympics and are returning to Immigration. The students will begin researching for their summative assessment task. Please have a look at the rubric and discuss with your child. Ask ‘What country are you immigrating from?’ and ‘What country are you immigrating to?’ Country is the key word! Some students are finding it difficult to identify the difference between a country and a continent, could you please follow this up with a discussion at home. Choose a country other than Australia that you will be immigrating from. Research both countries and complete a Venn Diagram about similarities and differences or things that are the same e.g., traditions, food, national costume, music etc. Write a short story about your reasons for leaving, your hopes and your dreams from your perspective as an immigrant e.g. better life, better education, better job. Tuesday 23rd August- Student Led Conferences. Please make sure you have booked a time. 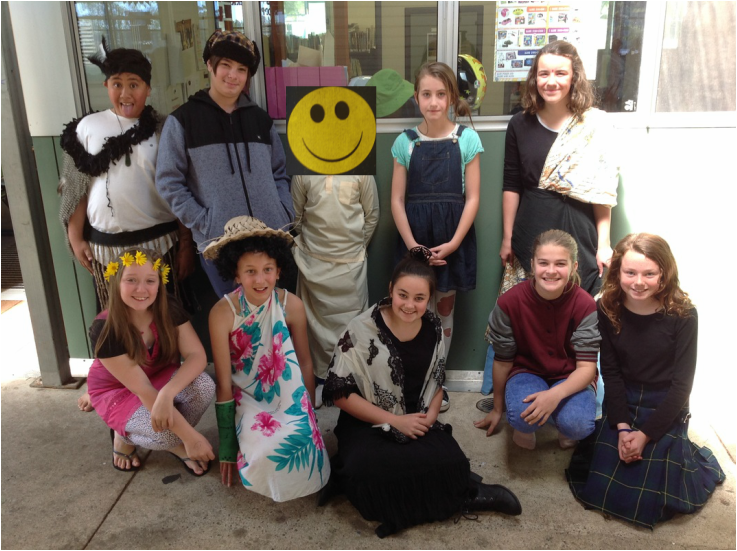 Hi and welcome to the 5/6 team blog for Week 4, Term 3! 5 more weeks until camp, please make sure you have all notes signed and handed in. 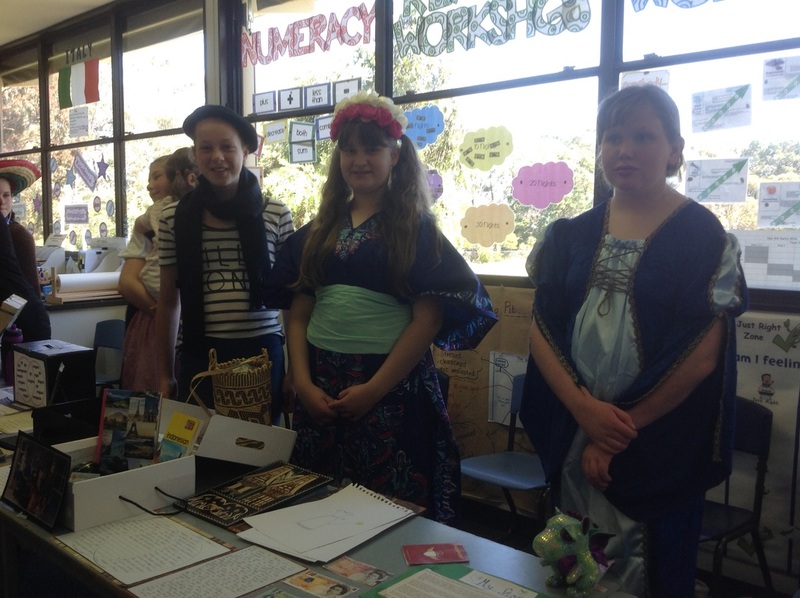 Following on from our Money Maths topic, the 5/6s held a Maths Exhibition where the students showcased their learning. The students should be extremely proud of themselves as they all presented a fantastic project! We have begun a new topic for Maths and are now studying Statistics and Probability, which will tie into the Olympics as we follow the Australian team. In our Writer's Workshop sessions we have been investigating and researching different structures of poems and the variety of poems. We have researched varieties to expand student thinking and understanding of poetry. Next week we will begin drafting our own poems. Our Inquiry topic is the Olympics while they are in action. We will continue with Immigration in a fortnight which will then tie back in with camp and our visit to the Immigration Museum. The Olympic Inquiry unit has a Big Idea of "The goal of the Olympic Movement is to contribute to building a peaceful and better world". Students will explore and break the Big Idea down by investigating and researching an athlete of their choice and creating a biography about them. Again, please hand in any camp notes ASAP and make sure you circle either 'Yes' or 'No' to dropping your child off at the train station.